This website is for members of the press only. To order a free complimentary review copy please add the book to your cart and use the coupon code of “press” and you will not have to enter in any payment information. You will receive a free complimentary review copy of the book within 2 to 3 weeks. If you have a hidden, secret, wish to be Sherlock Holmes—and who doesn’t, really—the Norma Maynard story is for you. Join the author as he fights for twelve years to have his sister’s murder properly investigated, only to be met with a stone wall of resistance from Iowa officials at city, county and state level. The author provides readers with the ability to set up their own investigative files. He helps them devise a scale to measure the effectiveness of officials that are part of the story. The reader will be able to question, with some authority, why the Norma Maynard case has not been resolved. Was this a deliberate choice by Iowa law enforcement and legal and judicial officials? If you elect to sleuth along with the author, will you be the one to solve the almost forty year riddle of the disappearance of Norma Maynard? Sidney S. Louis, a retired U.S. Public Health Service commissioned officer, resides in Fort Worth, Texas. He was born and raised not far from the small town of Boone, in Boone County, Iowa. He knows the area well, and can write knowingly about the Norma Maynard murder. 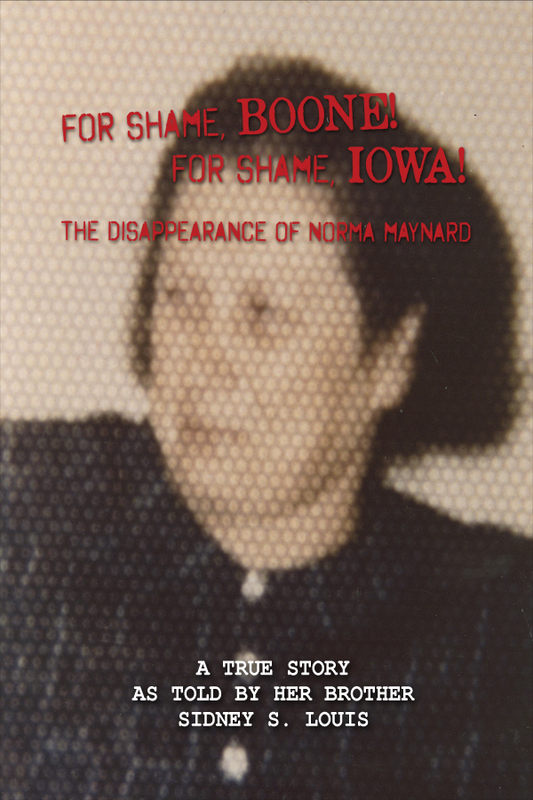 Because the author is also a major player in the Norma Maynard story, as told herein, the narrative includes a complete biography, in order that the reader may feel they truly know him.